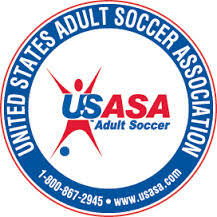 North Dakota Soccer Association is a non-profit organization whose mission is to be statewide sponsor of its member clubs for both recreational, competitive and amateur adult soccer. To foster physical, mental and emotional growth of the youth athletes in North Dakota while providing educational opportunities and support to it membership. For the good of the game!! To learn more about our association and what is taking place, utilize the links above. Our News link provides up to date news on what's happening around the state. The Tournament link is a great link to find out what tournaments are taking place throughout the region. Don't forget to check out the Referee link as well. Here we have all the information you need to know in order to become a referee in our great state. Looking to gain valuable coaching knowledge? Utilize our Coaches link to get started on the path of certification. Lastly, we have our Forms page. This page contains multiple forms clubs and players will utilize.